"I am my own MASTER!" Play: Ryoma is melee champion with long-range abilities. Make sure to use this advantage to harass. Play with the cooldowns, zone the enemy when Wailing Blade is ready (in case the enemy is not afraid, land it together with one normal attack enhanced by Naginatajutsu-passive, and he will rethink that position). After lvl 4, just add ultimate to the mix and that's it. But what IS important is not to go to far ahead while any cooldown is unavailable. 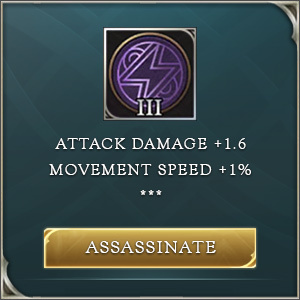 Every 5 seconds, Ryoma’s next normal attack unleashes a shadow blade that has a longer range and deals (120% of AD) physical damage to each enemy hit and reduces enemy movement speed by 50% for 2 seconds. Enemies hit by the shadow blade at the outer border of the range will suffer an additional 50% physical damage. -The range is 600 units. Ryoma leaps backward while extending his naginata, dealing 250/300/350/400/450/500 (+125% of AD) physical damage to surrounding enemies. If Ryoma damages an enemy hero, then Pinwheel’s cooldown is reduced by 3 seconds. This effect is not stackable. -A good way to damage chasing enemies while running away. -Can jump over walls. When triggering this ability Ryoma will roll in the opposite direction of the arrow indicator. 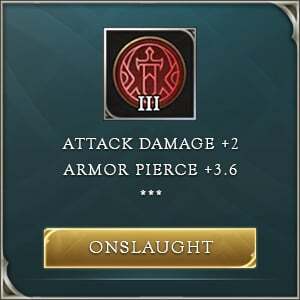 Ryoma unleashes a phantom blade that deals 350/395/440/485/530/575 (+210% of AD) physical damage to the first enemy and 50% damage to subsequent enemies on the path. Enemies at the end of the path will be stunned for 0.75 seconds. -The range is 500 units. -The main source of damage. Ryoma furiously stabs with his naginata 4 times. Each strike deals 130/180/230 (+70% of AD) physical damage and restore 70/100/130 (+35% of AD) HP (half if the target was not an enemy hero). -Good range for a warrior. All of his abilities have a good range, and even his passive Naginatajutsu has a good range. That's what separates him from the other warriors. -No mana and low cooldowns. All of Ryoma's skills are free of mana consumption, so that's one less thing to worry about while having the tools ready every few seconds. -Excellent harassment. All of his abilities hit every enemy in a line. That makes Ryoma an excellent poking hero and a harasser. He can hit a hero through the minion wave, and the pressure he makes is constant. He can push lanes and towers with ease. -His abilities have a relatively long cooldown, so you need to make the most of them. You can't miss a lot, or you'll become a burden to your team instead of a great addition. -It will take you a while to learn how to position yourself and make the most of your skills. AoV Ryoma Leveling skills: Lvl up Wailing Blade as the first choice, because it decreases its cooldown by 2.5 sec in total at maximum upgrade. Laning as AoV Ryoma: Could be played as jungler but the best position for him is Dark Slayer lane. Use your Wailing Blade combined with Naganatajutsu to harass the opponent as soon as he gets in range. Save Pinwheel for safety reasons and at the same time try to land it on the enemy. In case you can take out an opponent with Wailing Blade > Spectral Ire > Naginatajutsu, in that case, it is ok to use Pinwheel as an engage tool (by casting it backward). Managing cooldowns is crucial when playing Ryoma. Be aggressive in positioning if all of your cooldowns are ready, and defensive if there are some missing. The good thing is Ryoma's cooldowns are all short. Team fights as AoV Ryoma: Wait for someone to engage, never do it yourself. 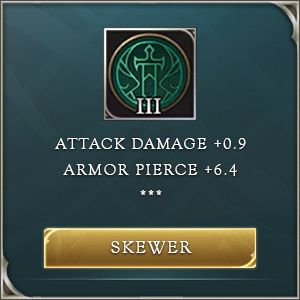 Whether your team is one engaging or being engaged upon, stun and damage foes with Wailing Blade, use Spectral Ire to damage most foes and auto-attack with passive on, but keep Pinwheel for safety reasons. If there is the slightest chance you are in a pickle, use Pinwheel immediately (even preemptive, if possible).